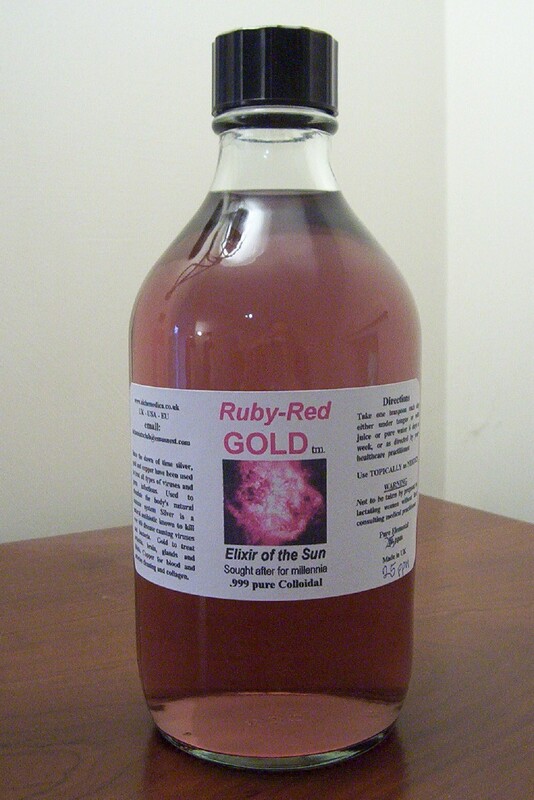 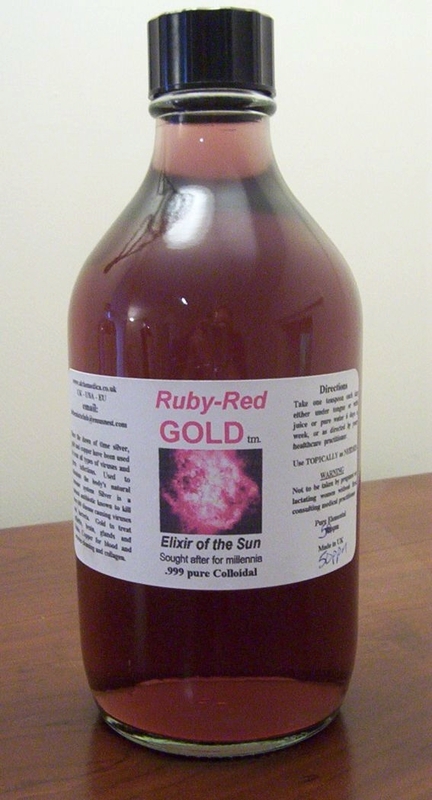 The fantasmological effect of a ruby color emanating from a clear glass bottle of water which contains no coloring agents whatsoever and is only caused by light refraction from milliions of microscopic nano particles of pure gold is truly awe inspiring. 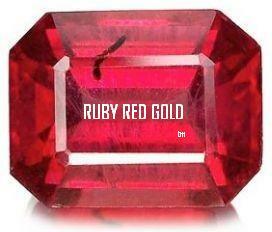 The knowledge about using gold to produce a ruby red color was known as far back as the original making of ruby red glass. 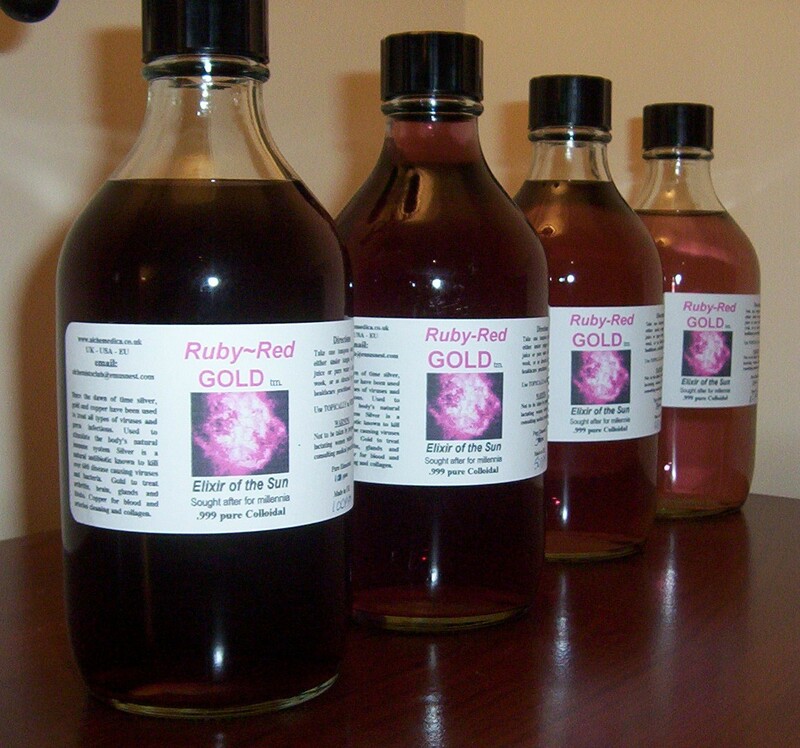 But to achieve all of this it was necessary to mix in additives of nitrates or chlorides to achieve the color. 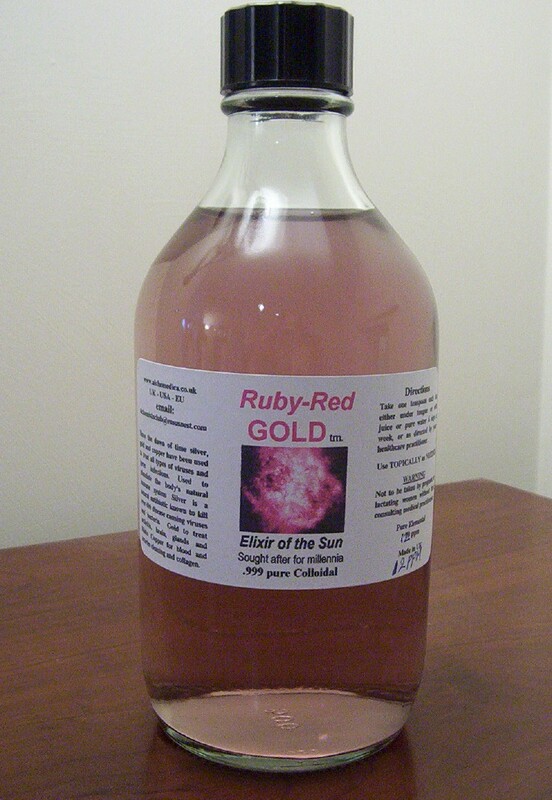 Now at last, by harnessing the same concept as the sun uses to achieve its own rebirth of golden energy, we can create miniscule nano particles of pure gold so tiny that they become denser in the surrounding water and offer a combined much larger area of refracted light generation at the ruby red end of the spectrum. 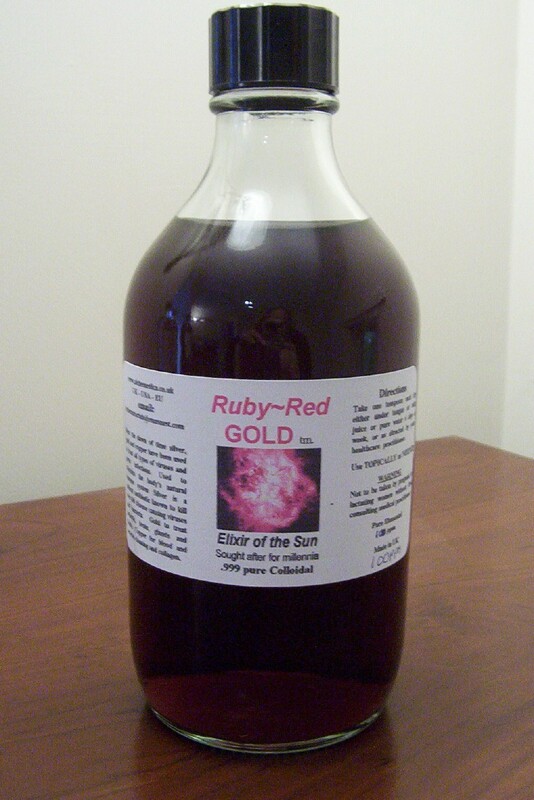 All of his means we have an even more effective ultimate colloidal gold for health and beauty solutions.